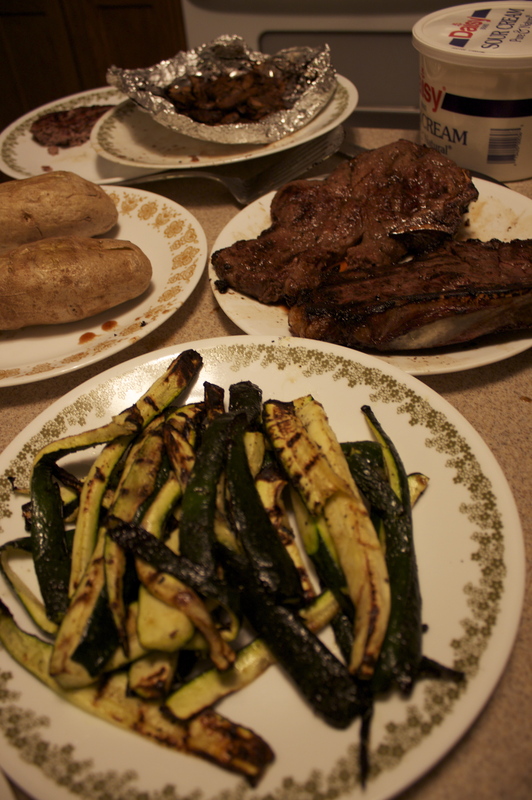 If you’ve never sliced zukes and BBQ’d them, my heart weeps for you. I highly recommend that you finish reading this post and then promptly rectify this situation. Brush them with olive oil and the seasoning of your choice. 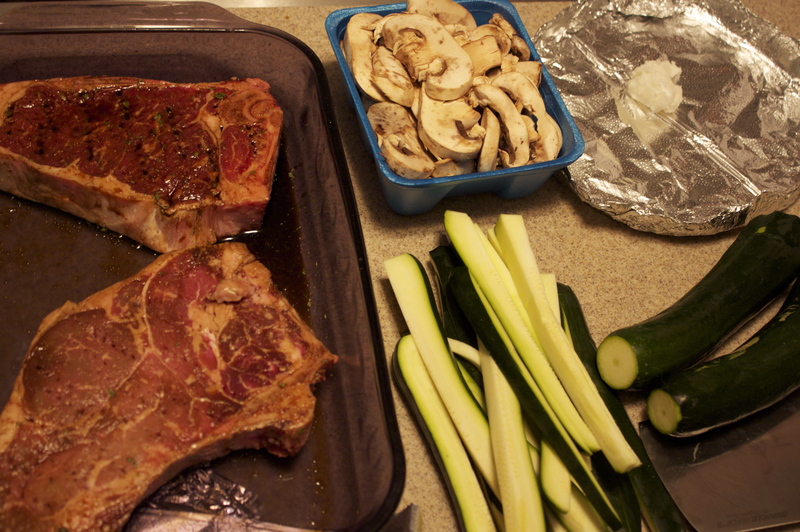 I used Derek’s favorite saltless organic seasoning from Costco, but anything would work. 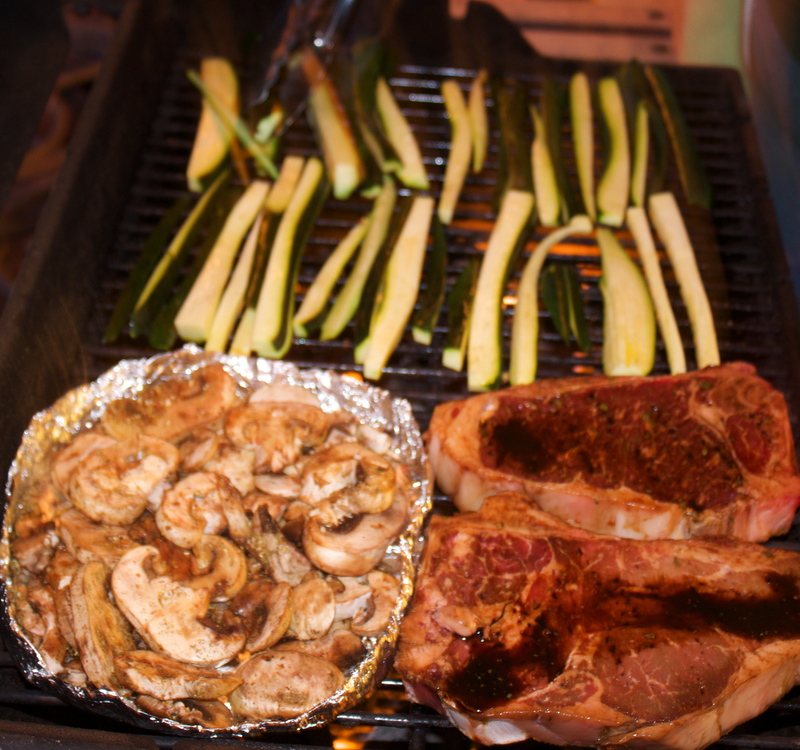 Toss em on the grill until tender and grilly <-that is a homemade word. I fashioned a saute pan out of foil for the shrooms. That’s coconut oil in the “pan” not crisco. And even though they were perfect cuts of meat and would have tasted nicely without anything I marinated them in garlic powder and low sodium soy sauce. Meat purists shudder, but I don’t let that bother me. I likes what I likes. Add a (microwaved)baked potato and feast! Nice! 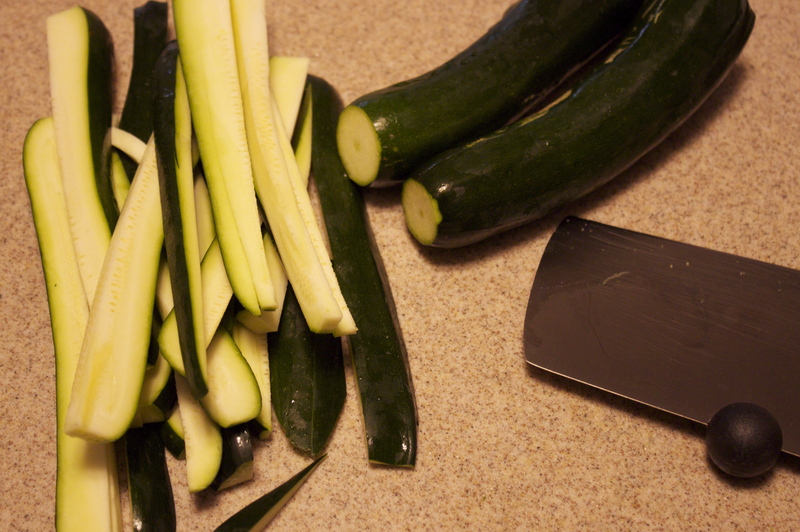 I have a bunch of zucchini! I will have to attempt grilling them! Looks Delish!